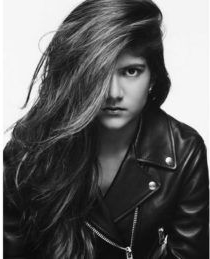 March 2 marks the worldwide release of international pop star Ananya Birla's addictive new single "Hold On" on Universal Music. With Birla's previous single "Meant to Be" remixed by Afrojak and nearly 15 million YouTube views, "Hold On" is on track to become an even bigger hit. Birla has already sold millions of records and graced international magazine covers, but she is also known for empowering women from India and around the world by creating a micro-finance system that supports underprivileged women to achieve their dreams. A true inspiration for young women everywhere, Birla hasn't wasted any time realizing what she wants in life. Cultivating what she has learned from her years of schooling at Oxford University and her acute awareness of the inequalities that plague us every day, Birla hopes to create a positive global change in the world one project at a time.